All women work at their own level without judgement or embarrassment from anyone. 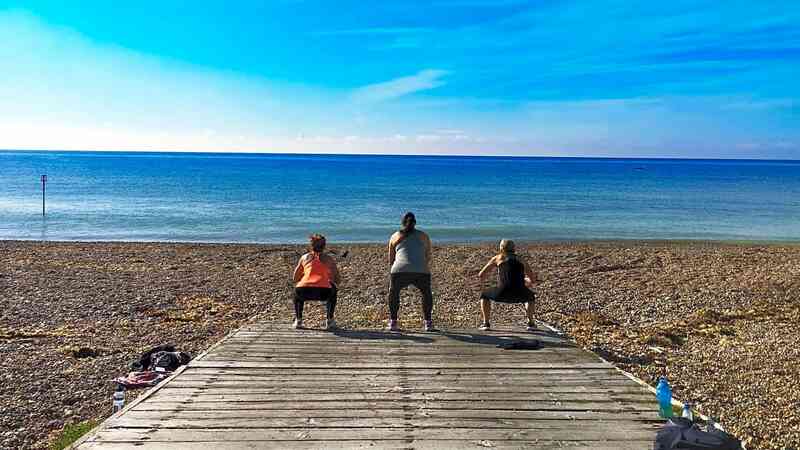 We work on both the beach and in a fully equipped gym and both provide the perfect, friendly setting for you to come and have fun with exercise, with like minded women, but achieving the results you dream of. We meet at the bottom of Beachside Close.